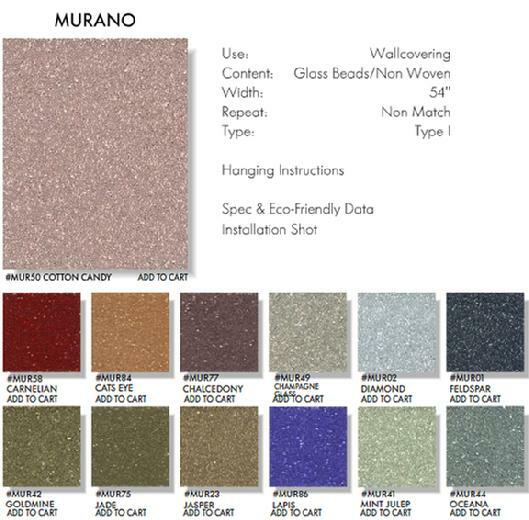 Murano glass beaded Wallcovering from Innovations USA. This is real Murano glass from the famous studio in Italy glued to a wallpaper backing. A beautiful textile wallcovering especially if you have a lot of sunlight or a room with good to great lighting.